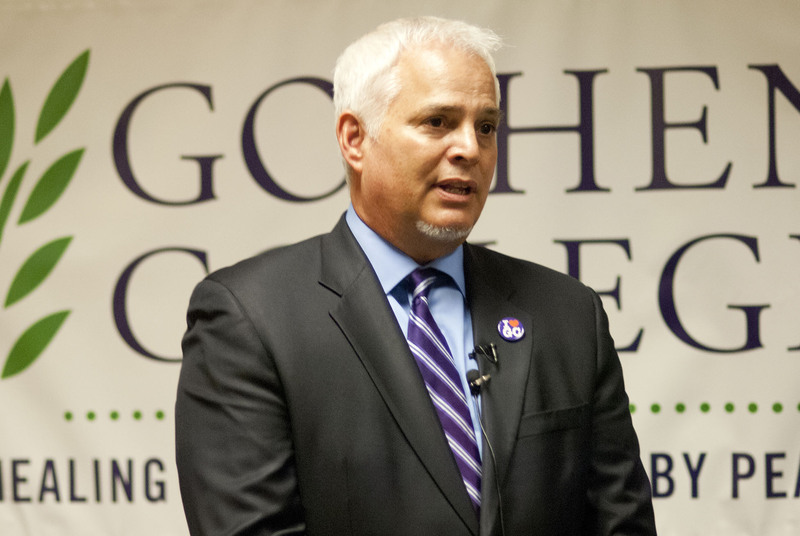 Goshen College President Jim Brenneman announced today that the college has taken a major step by voluntarily purchasing all of its electricity from renewable energy sources, such as wind and solar power. This single action will reduce the college’s carbon footprint by about 45 percent. The college is the first major customer of NIPSCO, the regional electricity provider, to take this action and participate in its new Green Power Program. 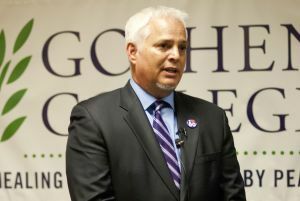 “What this means for Goshen College is that going forward from today, no more coal, gas or oil will be burned, no more carbon dioxide will be introduced into the atmosphere to provide electricity for our campus,” Brenneman said during an all-campus convocation. 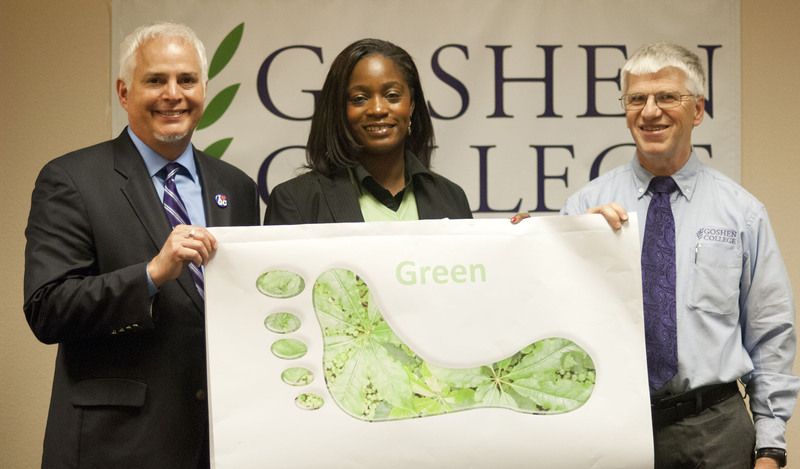 Before this step, with the reliance on coal for electricity, every student at Goshen College was responsible for approximately 12 tons of carbon dioxide being released into the atmosphere. Coal is Indiana’s primary energy source. In 2007, Brenneman became a charter signatory to the American College & University Presidents’ Climate Commitment. In doing so, he joined with leaders of 175 other higher education institutions in agreement to neutralize greenhouse gas emissions. 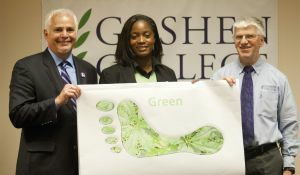 Goshen College was one of two higher education institutions in Indiana and the first Mennonite college or university to sign the landmark climate commitment. There now are 664 signatories. 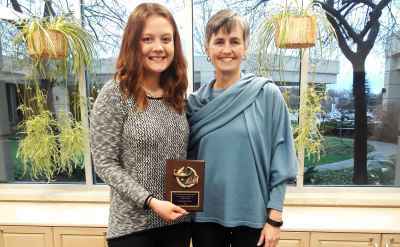 “We did that because we are very concerned about life on this planet, it was one more way we can care for the world and it was part of our broader ecological stewardship commitment,” Brenneman said. 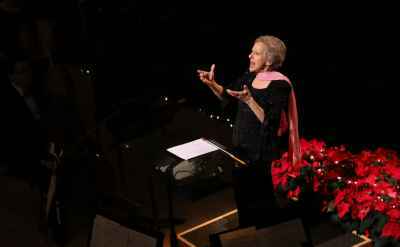 “Goshen College, like the Mennonite Church which we are a part of, has always been committed to being global citizens. By signing up for this program – which is recently available to all customers – NIPSCO buys renewable energy certificates (RECs) on the college’s behalf. RECs are the environmental attributes associated with electricity that is generated from renewable sources. NIPSCO Green Power Program RECs are certified through Green-e® Energy, the nation’s leading renewable energy certification and verification program. Green-e® Energy provides independent, third-party certification to ensure that certified renewable energy meets strict environmental and consumer-protection standards. Participants in the program pay a monthly premium in addition to the standard electric rate, which goes entirely to pay for the RECs. In response to the college’s energy efficiency efforts and commitment to sustainability, NIPSCO’s Manager of Public Affairs Angela Nelson presented a $5,000 check to the college’s Ecological Stewardship Committee to help with further initiatives on campus in the future. Since 2007, the college has been very successful at energy conservation. “In that time, both natural gas and electrical consumption have been reduced by over 25 percent,” said Glenn Gilbert, the campus’ sustainability coordinator and utilities manager. “Conservation will continue to be a major component of our strategy.” The college is using about the same amount of electricity on campus today as it did in 1992, despite adding 290,000 more square feet of building space. To learn more about the college’s various green initiatives – including composting, prairie planting, making biodiesel, powering hot showers with solar panels and others – visit https://www.goshen.edu/gogreen.